Clean-cut and perfectly tailored lines are the mainsail of the Boathouse collection. 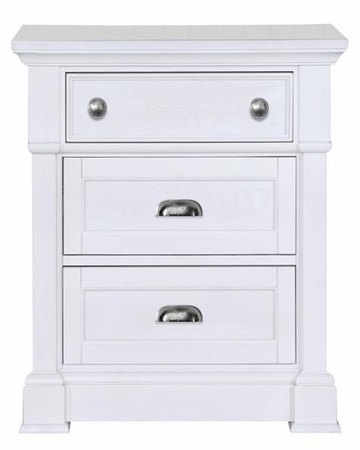 The Transparent White Stain finish allows visibility of the Ash wood grain underneath and is accented by the smart hammered and weathered bronze finish on the knobs and bin pulls. Inspired by an actual boathouse design, the bed and mirror feature an authentic nautical arch detail. The bedside chest features a pullout shelf and slat shelf detail while the nightstand hosts a pullout drawer for added utility. All top drawer bottoms of cases and tray on Open NS are felt lined, except Media Chest and Hall Table. 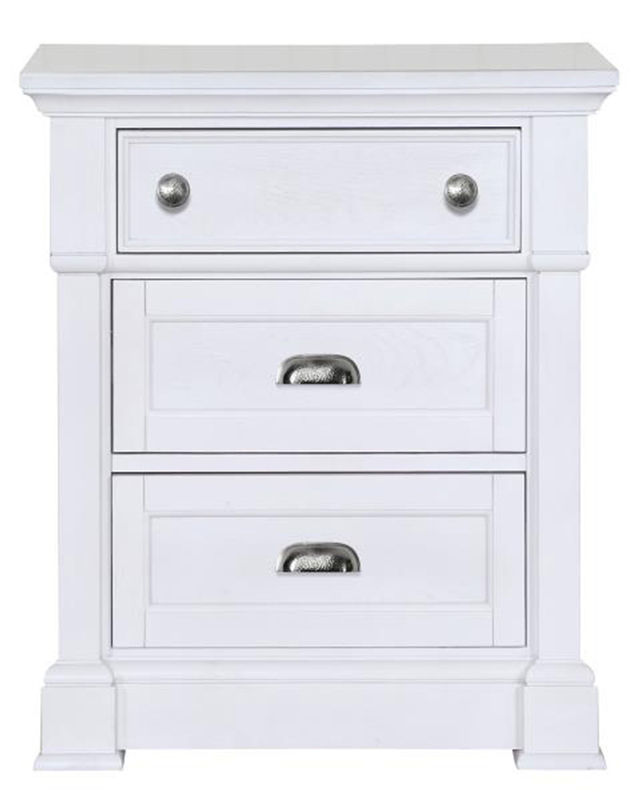 Nightstand features 3 drawers, touch lighting control.